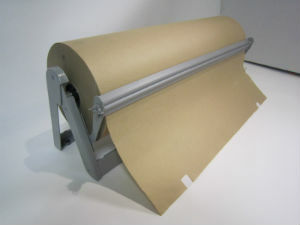 • For Heavy duty wrapping this kraft paper wont let you down. • Available in 60gsm or 80gsm. • Strong and sturdy dispenser with cutter available. • Can be used as a void filling method in cartons with excess space. 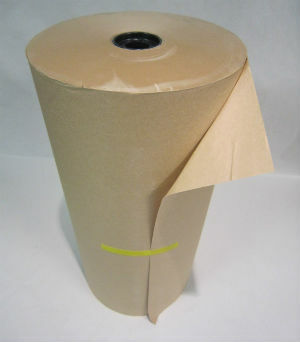 Kraft paper is paper or paperboard (cardboard) produced from chemical pulp produced in the kraft process. It is strong and relatively coarse. It has high tensile strength. The grammage is normally from 40-135 gsm, however in general wrapping of products 60 or 80gsm is sufficient. Common products it is used is paper grovery bags, multiwall sacks, envelopes and twist handle carry bags. Please visit our range of carry bags.